Craftsman style houses are typically decorated with exterior doors, fitted to match the design of the house; but oftentimes homeowners neglect to include interior doors that accent their home’s character. We believe the inside of your home is just as important as the outside of it. That’s why we create custom interior doors for luxury residences and commercial properties. Our craftsmanship and quality of materials combine to create an unsurpassed level of refinement in our wooden doors. Whatever type of door, design, size or species of wood you’re interested in, we’ll make your door customized to perfection, just for you. 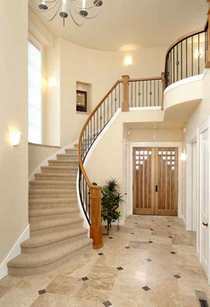 We specialize in creating interior doors of all types and styles. Whether you’re looking for a custom closet door, custom bedroom door, or anything in between, we’ll cater to your entryway needs. We’re the go-to custom door makers around Lake Tahoe, California. Call us at 530-587-1993 today or come visit our showroom in Truckee to start designing your custom bedroom doors. Stile and rail doors, also called frame and panel, comprise 90% of the interior doors that we build. However, we also offer flush doors, which are more contemporary and have recently become extremely popular. We have the ability to feature complex radius work, steel inlays, lettering and carvings on any of our wooden doors. We carry an extensive spectrum of fonts and a full line of carvings; including animals, nature scenes, and logos. 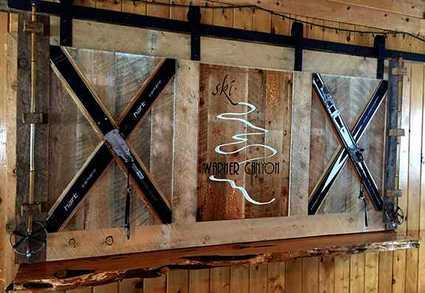 We can create interior doors using a wide variety of wood types, including reclaimed wood and barn wood. It’s important to determine the level of durability you’d like in your wood doors. When choosing softer species of wood in high traffic houses, we encourage you to consider your tolerance for ‘battle scars and maintenance’. Because bedrooms, hallways and kitchen areas often witness high amounts of activity, it might be worth choosing a species of wood that doesn’t scratch as easily for your custom bedroom doors, closet doors and pantry doors- especially if you have children or pets. Our experienced sales team in Truckee, California is available to answer design questions about custom interior doors. They are knowledgeable in wood species and can help determine what the best type of wood might be for your interior doors.